The World Health Organization has estimated that there are tens of millions of people in the United States who have tried Marijuana. . . Yet, less is known about this plant (which grows weed-like, all over the world) than is presently known about the moon. 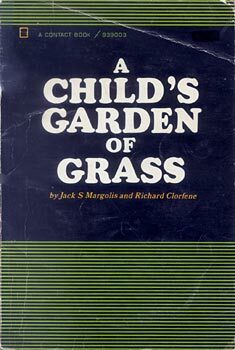 A Child's Garden of Grass is a wildly funny examination of every aspect of the sub-culture which exists among those who use Marijuana. When you finish this book you will know all there is to know about the use of the weed from first joint to final effect.